Six new specials. Countless laughs. 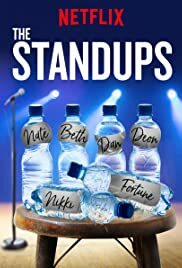 The Standups featuring comedians Aparna Nancherla, Kyle Kinane, Gina Yashere, Brent Morin, Joe List, and Rachel Feinstein, returns March 20 on Netflix. Comedy's freshest voices take the stage in LA for six half-hour specials packed with sly jokes, hilarious anecdotes and awkward confessions.